Formed in 1969 by Ray Dorset, Mungo Jerry started out as a Jug band and has known a massive international success in the pop field. The band’s first major appearance was in 1970 during the Hollywood Festival, at Newcastle-under-Lyme alongside: Jose Feliciano, Grateful Dead, Black Sabbath, Free, Ginger Baker’s Airforce, among others. The phenomenal reaction to their stage shows prompted the release of “In The Summertime”. At the heart of the Mungo Jerry story stands the leader and soul of the band, a songwriter as well as a great singer and performer: Ray Dorset. Ray’s career began at the age of 11 when he created with Phil Collins, his first band Blue Moon Skiffle Group. At 14 Ray became Jackie Edwards’ guitarist and backing vocalist. In 1969 Ray decided with Colin Earl, Paul King and Mike Cole to form a band: Good Earth was born. One year later, the band changed their name to Mungo Jerry. With the change of name came success. Apart from his career with Mungo Jerry, Ray Dorset has been successful as a songwriter for other artists. In 1980 his song “Feels Like I’m In Love” sung by Kelly Marie became a no. 1 hit. He has also written music for TV and videos. In 1992 a book, “Beyond The Summertime” was published telling the Ray Dorset story and in 1993 he produced a film that highlights the life of a band on the road. Today, Ray Dorset is one of the select British songwriters who has had 3 UK No. 1’s and can celebrate nearly 30 years as an international hit maker. Along with Elton John, Ray is the only British artist to have the same single No. 1 in the USA twice. He was honoured at the Berlin Hard Rock Café and has been included in their hall of fame following a successful celebration evening where he entertained many German celebrities and fans. “Shaggy” was the cover song for the Flipper movie, which resulted in a second US No. 1 for this classic track. 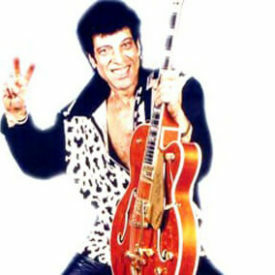 Ray Dorset as Mungo Jerry mixed tracks for the album, provisionally entitled “Candy Dreams”. In 2003, with German musicians, Dorset recorded Adults Only album under the name “Mungo Jerry Blues Band”, widely acclaimed as one of the best of his career. 2005 saw him performing with three Mungo Jerry line-ups: The British Mungo Jerry Band (pop/rock), the German Mungo Jerry Blues Band (blues/rock) and Mungo Jerry & The Goodtime Gamblers (jug/blues/skiffle). 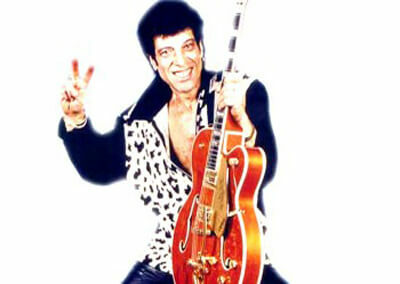 In March 2006 Mungo Jerry released their new single “Mr. Midnight” from Phantom of the Opera on Ice; produced by Roberto Danova – who had mixed in the past the old continental Mungo Jerry hits “Lana” and “It’s A Secret” – and is well-known for his work with rock and pop music, in combination with big orchestras.